The Georgia Gold Rush began in 1828 when gold was discovered in Lumpkin County. Accounts vary as to who made the initial discovery, but most credit Benjamin Parks tripping over a shiny rock while out deer hunting. News of the discovery triggered a stampede of thousands of hopeful gold seekers to the area despite the fact that it was Cherokee Territory. The town of Dahlonega sprang up to support the influx of miners and was soon christened the county seat with a courthouse completed in 1836. 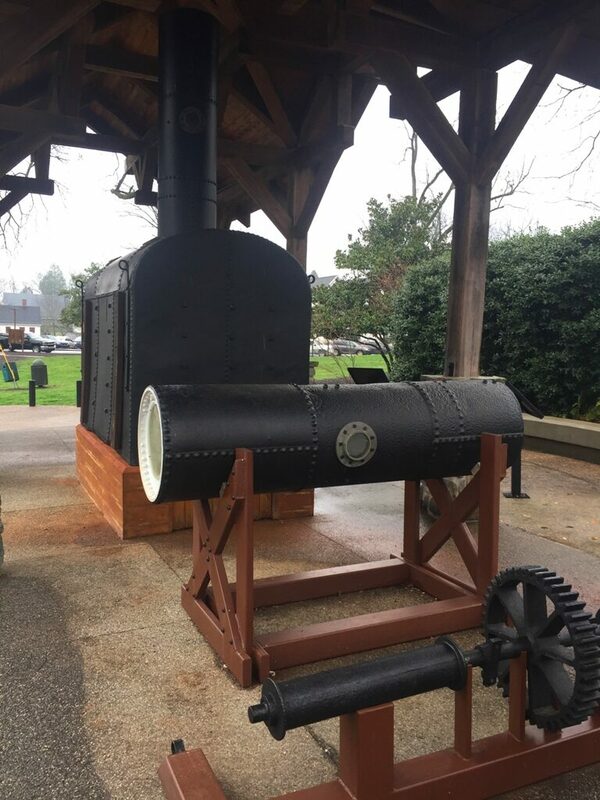 Today the building (the oldest existing courthouse in Georgia) has been restored by the state of Georgia as a State Historic Site and serves as a gold museum under the jurisdiction of the Georgia State Parks. 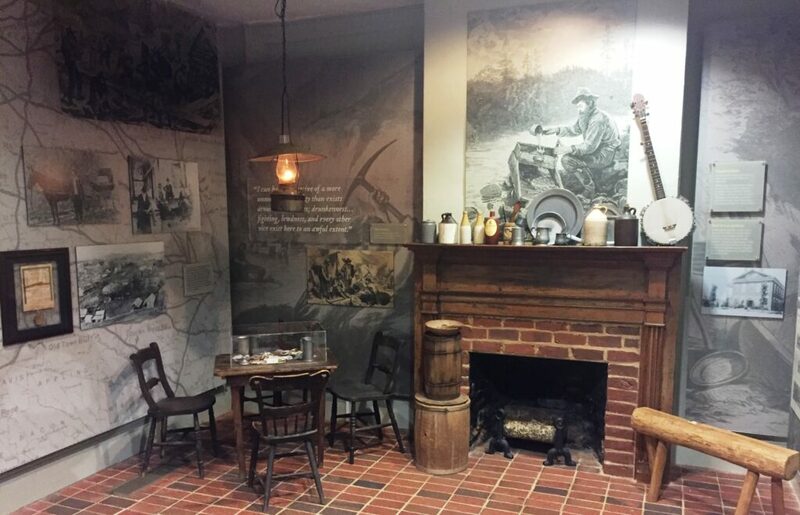 The Dahlonega Courthouse Gold Museum offers visitors a look at the mining history of Georgia. A 23-minute film describes the mining techniques and lifestyles of the prospectors through interviews with members of longtime mining families of the area. Sadly, you will also learn about Trail of Tears which occurred when the Cherokee people were forced off their land by the gold rush to a new reservation with thousands perishing along the way. 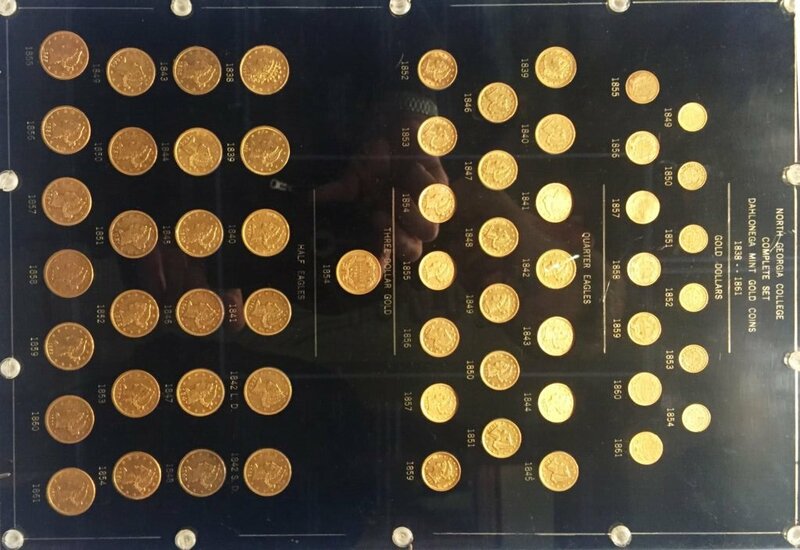 One of the highlights is a gold exhibit containing every gold coin minted by the Dahlonega U.S. Branch Mint, along with native gold mined from the surrounding mines. Speaking of gold, make sure to have one of the park rangers point out the native gold located in the bricks of the courthouse. If you are into gold mining history like I am, be sure to take the short walk to the diving bell in Hancock Park just north of the courthouse. The diving bell was used in a less than successful attempt to recover gold from the bottom of the Chestatee River and is the only known example to exist today. 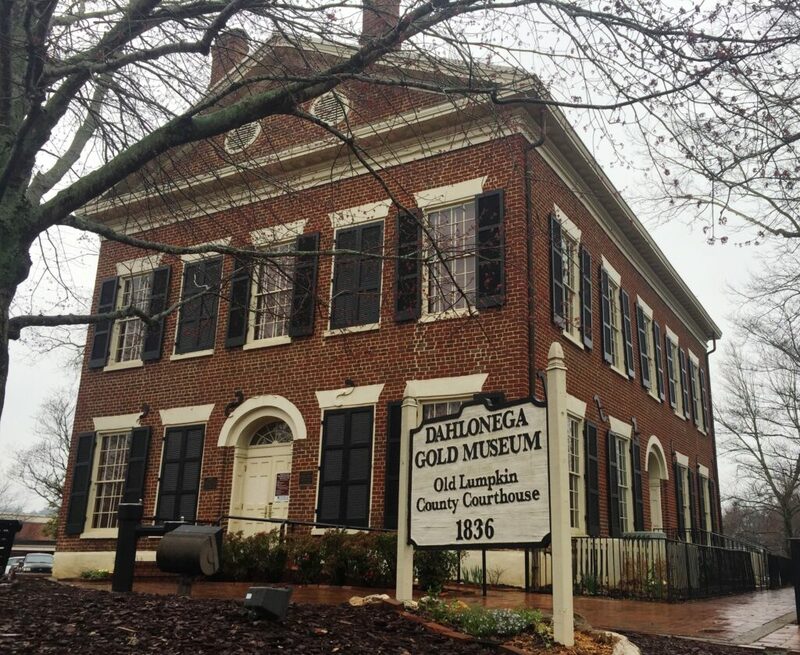 The Dahlonega Gold Museum is open seven days a week with the exception of Thanksgiving, Christmas, and New Year’s Day. The streets around the town square, where the courthouse is located, date back to the gold rush days of the 1830s and are narrow with many being one way. Your best bet is to visit in your tow vehicle or dinghy, although a Class B or shorter Class C should be able to navigate the streets and find parking. If you are not camping in the area you may want to drop your RV on the outskirts of town where there is a Walmart and other establishments with suitable areas for parking. Exploring one of the earliest gold rushes in the United States, just another adventure in RVing! In the next installment, we will go underground into one of the historic gold mines of Dahlonega.